that is a taste of mindfulness." Geraldine Breakwell and Will Smither are experienced counsellors, are accredited members of BACP and are UKRCP registered. Having met during their initial counselling training their professional paths have followed similar directions. 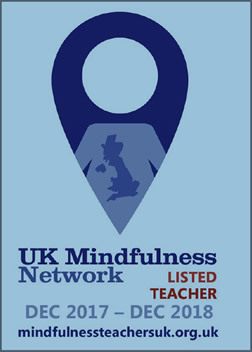 Both have trained in the teaching of mindfulness with the Centre for Mindfulness Research and Practice at Bangor University. Their joint endeavour of leading mindfulness programmes arises from their individual personal commitment to their own meditation practice. They share a belief that it is by their attention to their own practice that the 8 week courses will be of benefit to participants.